As you may have heard, there is a serious threat to the populations of common bat in the United States. White-nose syndrome, a fatal fungus in bats affecting hibernating bats, has been decimating bat populations, with some caves and mines losing 90 percent to 100 percent of their bat populations. The fungus is highly invasive, penetrating its victims’ top layer of skin, causing lesions. Theories suggest that the lesions cause the bat to wake up during hibernation. This forces the bat to use up the energy it has stored for its long sleep, exhausting the animal. In light of a recent report that the most common bat species in North America, the little brown bat, could be facing extinction because of the fungus, avoiding the unnecessary slaughter of bats roosting in residential or commercial properties should be every wildlife company’s priority. When homeowners can’t afford to, or don’t have the knowledge or resources for effective bat removal, they may make a poor choice and kill the bats themselves. Exclude Bats or eliminate them? If exclusions practices are an option in your county, consider bat exclusion trainings by Westchester Wildlife. Westchester Wildlife promotes, practices, and teaches simple and effective bat exclusion practices to professional Bat removal companies throughout the United States . Every wildlife control company does not use exclusion practices. For some, it’s simply lack of knowledge; for others, it’s that they don’t have a distributor or resource to supply them with the products they need to do the job right. Enter the Batcone and Procone. 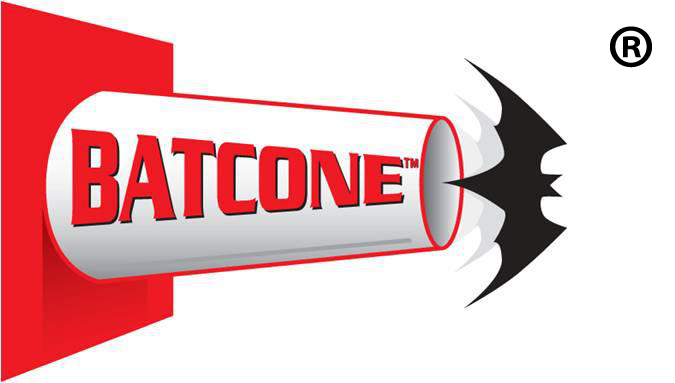 The Batcone Commercial Package was designed for small to mid-sized businesses as well as homeowners who understand the importance of bats to the ecology and want to help them thrive, just not within their homes. Call almost any exterminator about wildlife in the home and the answer is usually the same: they need to be removed and they can take care of the ‘problem’ for you. Exterminators generally kill the invading animals and then remove the carcasses and any excrement of ‘leavings’ from the animals. While this practice has been far too commonly used through the years, exclusion has proven itself much more effective, safer, and environmentally sound. Each small animal, whether it’s a bird, bat, squirrel, or other small creature, has an important job in the local environment. By killing them because they nest within the home, you change the structure and makeup of the local environment. 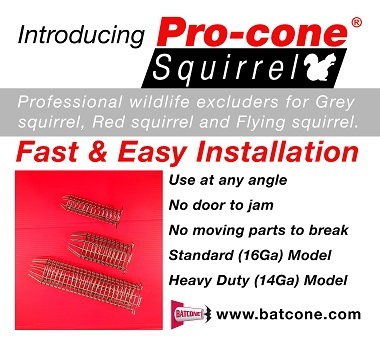 Exclusion using the Batcone or Procone is the most recommended option and is available to all companies that deal with removal or relocation of wildlife in homes. That’s why the commercial Batcone package has been made available at a great price for the companies that take on this great responsibility. The more homeowners know about the process and the more readily available the products are, the better the chances that they make the right decision and use exclusion techniques.